Don’t waste your time searching for the best car rental. Fill in the form on our page and visit all the city attractions with car rental Philadelphia! Only with our website you get a great opportunity to analyze offers of more than hundred car rental companies in a matter of seconds! 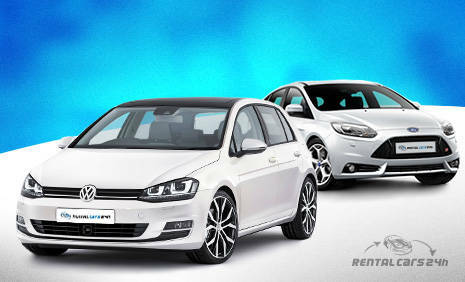 Just fill in our car rental form with and you will get the best way of the car hire. The car rental Philadelphia with us is easy, fast and cheap! Choose the most suitable Philadelphia car rental location, get acquainted with Must Know and look through the Places to Visit with car rental Philadelphia! 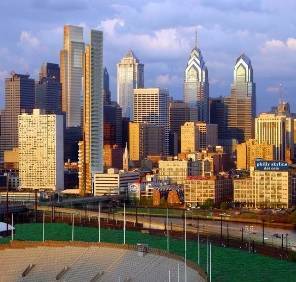 Philadelphia is one of the oldest cities in the United States, the sixth most populous city in the country. It is the most populous city in the state of Pennsylvania, with a population of 1,526,006 inhabitants. This city belongs to the largest industrial, financial and cultural centers of the United States. Philadelphia has the subtropical humid climate. Be sure to follow all the rules of the road and watch the road signs. Each state has its own system of speed limits; the information about it is available on the road signs. As a rule, the maximum speed of the vehicle in residential areas cannot be more than 25-30 miles / h, and on roads such as freeway - 65 miles / h.
If you are interested in archeology and history, then do not hesitate a second and visit this breathtaking place! 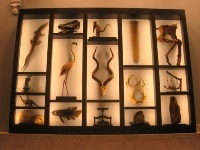 The Academy of Natural Sciences can boast of one of the most extensive collections of dinosaur bones and fossils in the country. Visitors can observe the 40-foot skeleton of a Tyrannosaurus rex. Using your car rental vehicle you will be able to get there in a wink! Don’t lose your chance! This is one of the largest and most beautiful Catholic churches in North America. It was constructed during the period from 1846 to 1864. 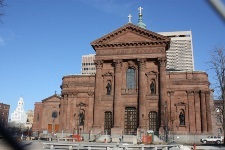 Basilica was built in the style of the Italian Renaissance. The greatness of this unique and exquisite building will stay in your memory for a long time, as this inimitable sample of Renaissance architecture. Take your car rental vehicle and visit this amazing place! If you like art and can spend hours walking through big halls of galleries then this place of interest will be just for you! 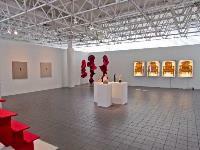 This gallery exhibits contemporary paintings, architecture, photography and handmade products of American and world artists. You will be able to take advantage of your car rental vehicle and take your whole family to see this amazing and beautiful place! 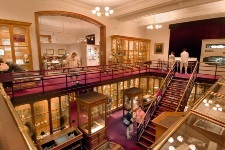 Mütter Museum is a museum of medical pathologies, old medical equipment and biological exhibits. The exhibition presents a lot of wax models, as well as preserved bodies and skeletons. The museum is best known for his large collection of skulls and unique exhibits. Take your camera with you for some unforgettable pictures. We guarantee that by using the car rental Philadelphia you won’t have any troubles with getting here. 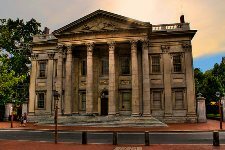 It is in Philadelphia that the Building of the first bank of the United States is located. It is an American bank, which existed from 1791 to 1811 years. The building has a very interesting architecture and each year attracts many tourists. Be sure to visit this attraction with car rental Philadelphia and you will learn a lot about the history of the USA. RentalCars24h.com offers you reliable car rental Philadelphia services that will help you to feel free and independent when moving around the town. Providing best online prices for car hire Philadelphia services, RentalCars24h.com allows you to save money each time when you rent a car in Philadelphia.